Ukrainian Social Club [Український товариський клуб] – a community centre which served the Ukrainians who settled in Manchester before the Second World War. 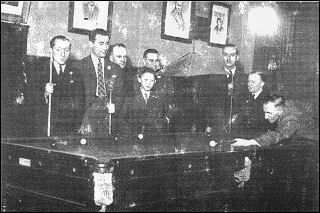 The club was established in 1929 through the efforts of Joseph Lesniowsky, a leading member of the pre-war Manchester Ukrainian community. Initially the club occupied a single rented floor at 116 Cheetham Hill Road. In 1933 it moved to rented rooms on one floor at 48 Cheetham Hill Road. In about 1943 new premises were purchased for the club at 188 Cheetham Hill Road. The club became the centre of the social and cultural life of the community, a venue for the celebration of religious feast days and the marking of national anniversaries. It had a bar which provided it with a financial base. In 1933 the club had 116 members. Although most were Ukrainian, a small number were Lithuanian, Jewish, English or Irish. During the Second World War the club was frequented by Ukrainians serving in the Canadian and US forces stationed in the United Kingdom, and by Ukrainians in the Polish Armed Forces under British command. It became a regular meeting place for members of the Ukrainian Canadian Servicemen’s Association (UCSA) which was formed in Manchester in 1943. In the immediate post-war years the club continued to serve as a social and cultural centre for the large numbers of newly-arrived Ukrainians who began to settle in Manchester and the surrounding area. 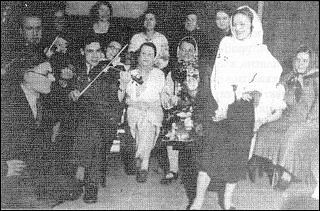 After the Manchester branch of the Association of Ukrainians in Great Britain acquired its first community centre in 1951 the club declined in importance, though it continued to exist for several years. In addition to Joseph Lesniowsky, other officials of the club included Peter Tarnawsky, Wasyl Solar and Wasyl Marchuk. In January 1943 the UCSA president Bohdan Panchuk was elected president of the club.